First Time Degree-Seeking College Student who has completed at least 6 semesters of high school course work or has graduated from high school and has not attended a college or university after graduation. Completed Application, a non-refundable $25 application fee is required. Official High School Transcript and/or GED Scores - Note: Domestic students with transcripts from international institutions must submit an official course by course evaluation of their foreign courses from a member of the National Association of Credential Evaluation Services (NACES). SAT or ACT standardized test scores. For applicants whose high school graduation date was more than one year prior to their intended semester of enrollment, appropriate placement test results from the Testing Services Center at PNW will substitute for SAT or ACT scores. Admission to Purdue University Northwest is based on demonstrated academic quality rank factors, which include a high school diploma (Core 40 diploma is required for applicants who graduated in 2011 and forward from an Indiana public high school) or GED, meeting subject matter requirements, grade average in degree-related subjects, as well as overall grade average, class rank, SAT or ACT test scores and the strength of the college preparatory program. Direct Admission - Applicants who meet all quality rank requirements for a particular program will be directly admitted into their choice of major and/or concentration. General Admission - Applicants who DO NOT meet the requirements for a particular program may be offered general admission to the University. Denied admission - Applicants will not be admitted to the university until adequate preparation for university work can be demonstrated. Conditional Admission is NOT offered. Purdue Northwest allows for domestic freshman students to delay their enrollment for up to one year from their original admission term. Students seeking to extend a gap year beyond one year must reapply for admissions. If approved, you do not need to apply for admission again for the following term. The Admission Office will process all materials and keep your application on file for you. Should any of the information provided in your application change (coursework, address, etc.) you must contact the Admissions Office at 219-989-2213. Students may pursue 11 or fewer credits during a gap year. If a student earns 12 or more credits, the freshman application will become invalid and a new transfer application for admission must be filed. Any formally accepted freshman merit scholarships awarded through the Office of Undergraduate Admissions will be held for up to one year from the original admit tem. This scholarship extension is available to freshman applicant only. Degree-Seeking student who has completed at least 12 college level credits after high school graduation from a regionally accredited institution of higher education. Purdue University Northwest accepts credit from regionally accredited institutions for college level classes in which the student has received a grade of C- or better. The University reserves the right to determine the transferability and acceptance of transfer credit. Grades from transfer courses do not transfer, only credits. Transfer courses will be evaluated by an academic advisor on an individual basis to determine how credits will apply toward plan of study and graduation requirements. 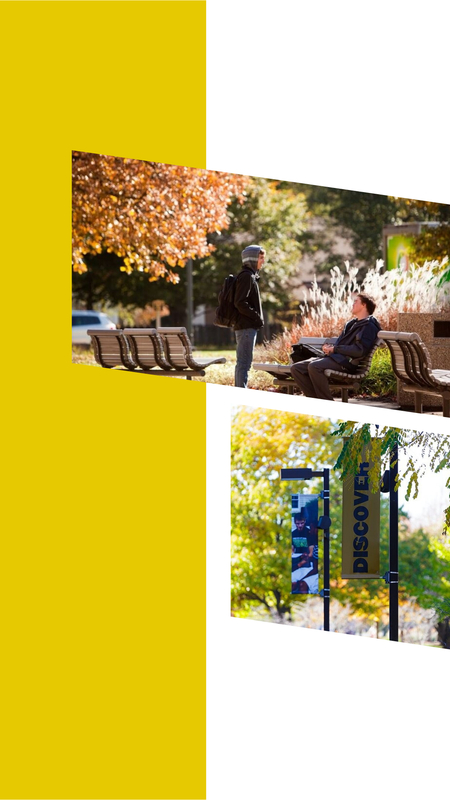 Purdue University Northwest accepts a maximum of 90 credits toward a baccalaureate degree from other regionally accredited colleges and universities. The applicant must have at least 12 credit hours of college level course work after high school graduation with a cumulative grade point average of at least 2.0/4.0 from the last college attended. Some programs require a specific cumulative grade point average and pre-requisite transfer courses completed for transfer student admission. Students and faculty can efficiently evaluate transferring course credit through the Purdue University Northwest Transfer Equivalency System. This system compares Purdue University Northwest courses with that of other colleges and universities. If a course is not listed in the report, it does not mean that the course is not accepted, it simply means that this course has not yet been articulated. Transfer credit is subject to departmental acceptance and distribution and equivalencies can be changed at any time. What is a Re-Entry Applicant? A Purdue student who has not attended for one year or longer and left in good academic standing. Applicants who have attended another college or university since their last semester at Purdue must submit official college transcripts before receiving an admission decision. What is a Re-Admission Applicant? A person who has been dropped from any Purdue University campus for academic reasons. A student dropped by this rule must apply for re-admission by filing a Re-admission application. Dual credit and concurrent enrollment programs are partnerships between an individual high school or high school corporation and a particular college or university. In Indiana, dual credit courses are those which high school students may take to earn both high school and college credits. Dual credit courses are taught by high school faculty or university faculty members either at the high school, college or university, or through on-line courses or distance education. Dual credit is one of several options a high school student may use to fulfill Core 40 diploma requirements with Academic Honors or Technical Honors. Students wishing to fulfill Core 40 with Academic Honors or Technical Honors diploma requirements are encouraged to choose dual credit courses from either the Core Transfer Library (CTL) or from the courses listed by the Independent Colleges of Indiana (ICI). Courses chosen from both the CTL and ICI list of courses may maximize the chances for the transferability of credit for courses and also meet the dual credit requirements necessary for Core 40 with Academic Honors or Technical Honors. If students choose a dual credit course NOT on the CTL or on the courses listed by ICI, they should contact the college they plan to attend to see if the course can be transferred to that institution. Indiana colleges and universities provide many opportunities for students to earn college credit while still attending high school. For more information and the latest details on the Core Transfer Library click here. International Undergraduate Student Application. Students who have not attended a previous university must submit a non-refundable $25 application fee. Transfer students must submit a non-refundable application fee of $55. This fee includes evaluation of all college transcripts. Beginner Student: Original or attested copies of all transcripts, diplomas, certificates and mark sheets from all secondary schools attended. Documents should be mailed in a sealed envelope from the secondary school or the examination board. If the original document is not in English, include a certified, detailed English translation. Transfer Student: Original or attested copies of academic transcripts from all secondary and post-secondary schools attended, mailed in a sealed envelope from the examination board, secondary school, or university. If the original document is not in English, include a certified, detailed English translation. A minimum of 12 transferable credits from an accredited U.S.-based institution of higher education, including an English Composition course that is equivalent to Purdue University Northwest’s English Composition course ENGL 10400. You will need to provide evidence of financial support. See details here. Click here to view the English Language Program website. Click here for information on how to apply to the English Language Program. For information on admission requirements for International Graduate Students click here. International Admissions, reviews and processes international student applications, evaluates foreign credentials, guides and advises prospective international students, processes transfer credit, works with sponsored students and partners, and assists with development of international partnerships. International Students and Scholars (ISS) provides international students with the appropriate support and advising on immigration matters in order to succeed in their academic, social, and cultural pursuits. International Programs, provides peer mentoring, organizes cross-cultural activities to enhance the American learning experience for international students, and contributes to the globalization of the Purdue Northwest campus. Education Abroad and Exchange develops and manages study abroad programs for PNW students including exchanges, internship, service-learning, and volunteer opportunities outside the U.S., as well as ‘Study at PNW’ semester and short-term programs for non-U.S. students. The English Language Program (ELP) provides degree-seeking students with essential language skills needed to succeed in their university studies and ESL/American culture classes for visiting international students. The program matches students with English speaking peer mentors for additional practice and interaction in and out of the classroom, and offers weekly cultural and educational excursions to local destinations.